BJ Fitness Centre is located right in the centre of Scarborough, convenient for those in town or at work. Fees - No joining fees and no contracts, you can just pay and visit whenever you want to (we are so sure you will keep coming back). 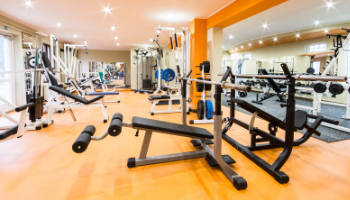 Gym - In the gym area, the latest resistance machines and a full range of Olympic weights will give you the incentive to have the best work-out ever. Our qualified, experienced instructors are always on hand. C.V - For heart rate training and body-weight management the C.V (cardiovascular) area offers treadmills, cycles, cross trainers and rowers, so, no excuses - go for it. Studios - the BJ's team of instructors create the most effective and fun way for you to get your fitness highs in a wide range of classes. To help keep you motivated, the routines and music are changed regularly. 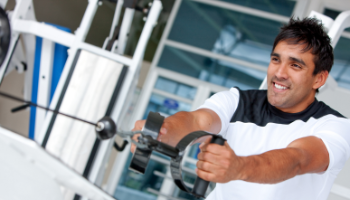 Personal Trainers - are available. Call 01723 366 006 for more information.